Indicated in different bacterial diseases of animals e.g. Pneumonia, Foot rot, Enteritis, Salmonellosis, Calf scour, Infected wound, Fever, Colibaciliosis, Metritis, Mastitis, Pyelonephritis, Black quarter, Joint infection, Kidney infection, Haemorrhagic septicemia etc. 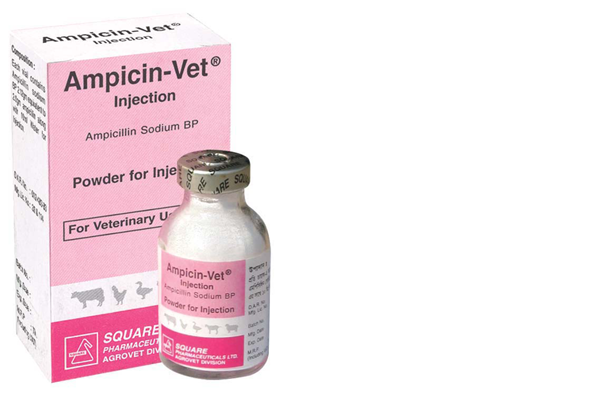 Each pack encloses a vial containing Ampicin-Vet® PFI with an ampoule of 10 ml WFI.